Develop bass guitar skills, learn classic bass lines and perform with bands. Bass lessons at The Rhythm Studio take bass players from the early stages through to advanced levels on their instrument. 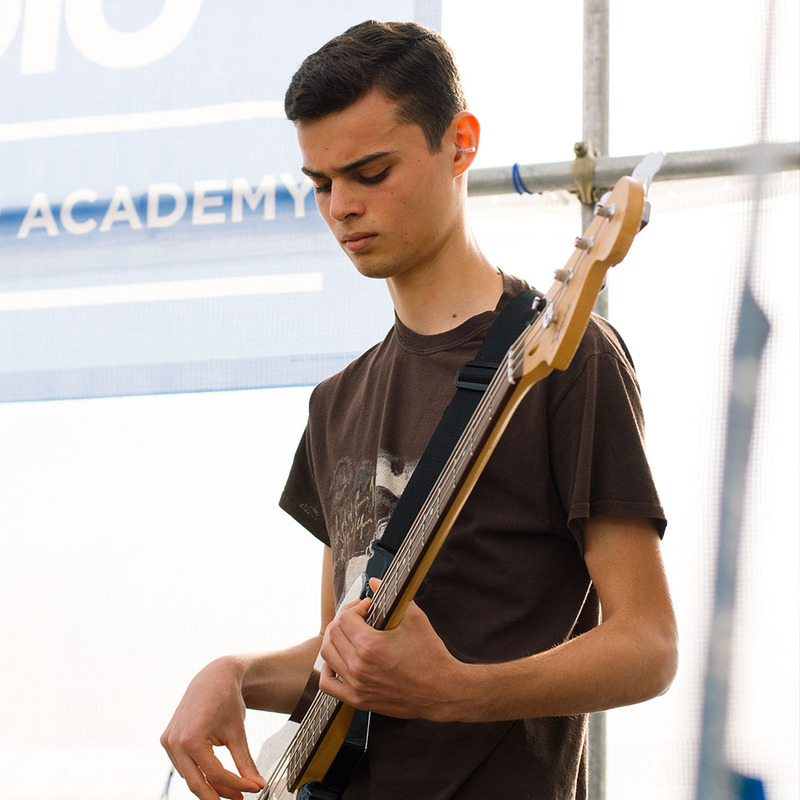 Accomplished young bassists are highly sought after members of The Rhythm Studio’s Band Sessions, which offer the chance to form bands with friends and play regular gigs. Music Production classes are popular with bassists who wish to learn to produce their own music, and during school holidays bass players get on stage with bands at Rock & Roll Boot Camp.